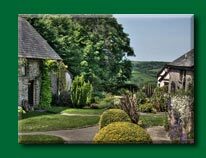 Special offers and late availability in Devon's self catering & bed and breakfast. Locations by the coast and in the countryside. Dogs holiday for FREE in March & get a goody bag as long as they bring their owners too! Come and explore our golden sandy beaches & countryside walks. 10 April-21 May 2015: Enjoy the spring flowers, watch lambs & explore our private beach. 2 dogs free & couples rate £350 7 nights/£235 short break. Crisp air, nature reawakening. Explore from our lovely cottages with log burner or whirlpool bath from £320p.w. in our Thatched Cottage. Free Cream Tea. The advert must contain dates and prices. It can also include up to 50 words of descriptive text.